Nwasha Edu helped to celebrate the 49th anniversary of Kwanzaa. 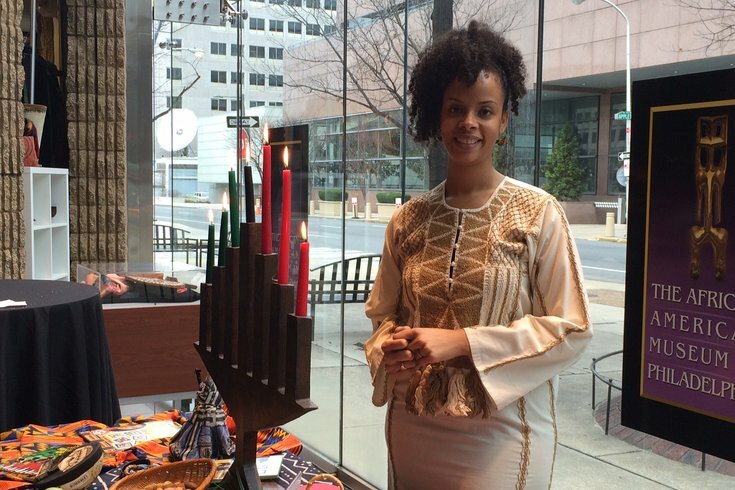 The African American Museum in Philadelphia, along with Macy's, will host a Kwanzaa celebration on Dec. 30 in the museum. This year marks the 50th anniversary of the holiday celebrating cultural heritage and traditions. During the celebration, there will be plenty of family-friendly activities. There will be Kwanzaa-themed arts & crafts, face painting and an area highlighting games created by African-Americans, along with traditional West African games. Attendees can also expect a candle-lighting ceremony, singing, dancing and storytelling. The locally curated Kwanzaa marketplace will also be back for another year. The event is free to attend with museum admission, which is $10-$14 per person. Currently, the museum is highlighting Ntozake Shange’s work.